"Why do I have to perform some experiments multiple times at the same location to max out my sciencegain?" When I asked me this question the Xth time, I started looking arround for a solution, and I found it: module manager. This neat little "plugin" allows you to write custom patches to change the behaviour of parts and some mechanics of KSP. It searches for all Experimen_Definitions (there are 11 in total) and edits them. More specific it adds/edits the baseValue (wich defines the science you get for a single execution) and matches it with the scienceCap (wich defines the total ammount of science this experiment can give you) via copying the value of scienceCap. Now, even this is a verry simple patch, it took me quite a while and some help from the community to figure it all out. So I thought for people like me I just post a few things I've done so far and just hope some others do the same to help everyone who wants to learn how to make custom patches. It gives you all the experiments (thermometer, goo, seismic sensor,...) right at the start of your career. It searches for all the parts that have the category science defined in their node. While doing so, it also makes sure the parts it finds don't have several other modules. (antennas for exampel are also in the category science but I didn't want to have all the antennas at start unfortunaly antennas have a module for transmitting data, wich the experiments dont have) This leaves only the experiments, wich are then edited to be available at start. A basic one Click Me! and a more detailed, advanced one Click Me! So the "rainbowthing" might have been a bit too much. Give the thing a title, make that title bold and and set the font size to 16, then make a spoiler and put the code inside the spoiler. Do you end up hauling around monopropellant that you never use? Well, zap it from the start with this little MM patch. This will make it so that all your command pods start with empty monopropellant tanks. This is a good example! 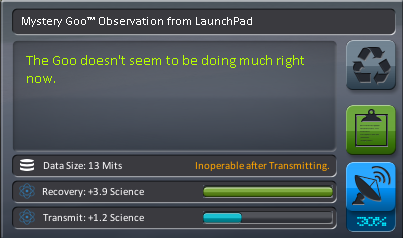 Because I have a question : why is it %amount = 0 wouldnt that make mm creat a amount = 0 even in probe cores since they too have a module command? So i thought I might share the stuff I created, as a beginner, with the community and make it nice and colorful. So I might aswell post everything I did so far! for the @description it works like this: ^= means "at the end" ::: is for search between the first two : is the term it searches, in this case it searches everything because there is nothing inside exept the $ wich tells it to copy what it finds and between the secon and third : comes what you'd like to add, in this case a hopfully funny addon to the description. (I cant guarantee that this is 100% the way it works but it works^^) Tl;Dr: MAGIC! Also thanks to ":NEEDS[MechJeb2]" it'll only apply itself when mechjeb is installed. This could be very helpful for some people, but you should spell "examples" correctly in the thread title (may make it easier to find) and also not use cyan for text as it is very hard to read on a pale background. Also, I'm not sure it should really be in this sub-forum as it isn't anything to do with developing plugins. More people may find it in the main mod development sub-forum. I asked to move the thread thanks. Want to make a part bigger/smaller? I'm not sure but I think that would make the heatshield separate on both sides. The stock separators (both sides) has that isOmniDecoupler option set to true but the decouplers have an explosiveNodeID. 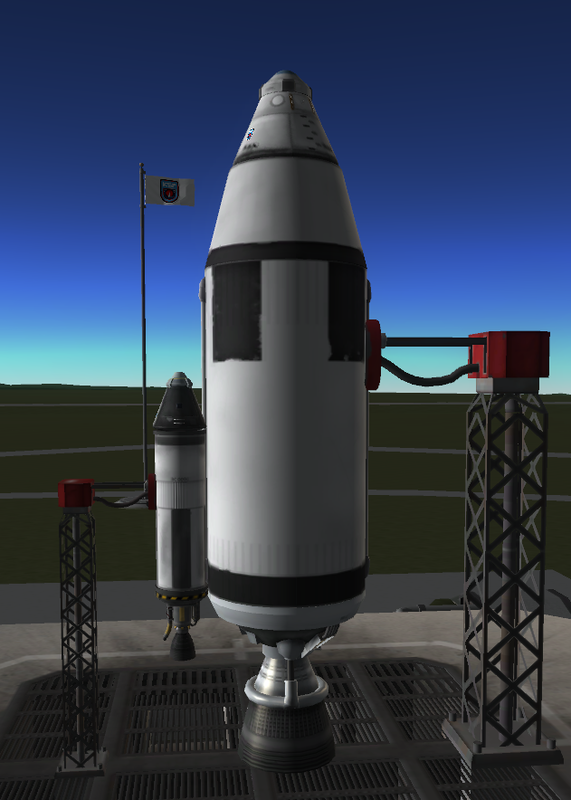 Since there is nothing left to decouple when I get rid of my heatshield I never noticed that. %description = This fuel tank is a variation of the adapter. It's used to bridge between Kerbodyne and Rockomax rocket bodies. @description = A shorter adapter from Kerbodyne, formed under similar circumstances to its big brother. Coated with spaceproof paint for maximum integrity. 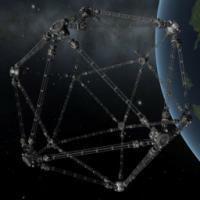 With KSP 1.1.0 and ModuleManger for it, I've found you need to edit this (I set my initial throttle to 0). Never mind, question already answered. is it possible to manipulate values in settings.cfg with MM? It's how MM accesses Physics.cfg, an important repository of parameters for many KSP physics concepts like aero, thermal, buoyancy, and even prelaunchDefaultThrottle. MM scripts like my MMJ-Jacke-Default_Throttle-1.0.cfg (below with comments removed) can change these parameters' values after they are loaded into KSP, similar to the way it can change other parameters, as always without changing the original files. i guess this is where i should ask for help. im trying to make the smaller antennas in remotetech physicsless, like the stock antennas. (it adds the mass ot the parent part now, o IMO, it fari, just makes COG balancing a it easier) what i have here does not work. what am i doing wrong? i did try physics significance=0, did not work. according to the wiki, physicssignificance=1 sets the part to physicsless. I believe you should replace ":FOR[RemoteTech]" with "NEED[RemoteTech]", as :FOR is more for the mod's own .cfg files, while metamods for the mod should use :NEED. As well, most parts don't explicitly have PhysicsSignificance parameters, so you should use the edit-or-create operator version "%PhysicsSignificance = 1". thank you. got it working now. how do I wildcard Modules only within a Mod folder? would this config have to be placed inside the ModFolder? If you are only looking to apply it to a certain author's mods, maybe try filtering via the author's name. I might be wrong here, but Im pretty sure this works.